A separate court system with expedited hearings to prosecute those accused of crossing the border illegally has existed for years in Arizona and Texas. But its arrival in San Diego this year has been met with intense pushback from defense attorneys, advocates and at times even judges. San Diego’s federal court system, the Southern District of California, has been unique among federal court districts along the border for decades. In the ‘90s, then-U.S. Attorney Alan Bersin decided he would no longer prosecute misdemeanor cases against migrants who entered the country illegally, and would instead focus on felony cases against those who’d been deported multiple times or who had serious criminal records. Prosecutors had been filing thousands of misdemeanors for decades, draining resources but failing to deter illegal crossings. He’d focus on felony cases and leave the rest to immigration officials, who have their own separate civil process to detain and deport migrants. His successors for the most part carried on the tradition – until April. That’s when then-Attorney General Jeff Sessions announced a zero-tolerance policy across the border and mandated that prosecutors try to charge everyone caught crossing illegally with a crime. The following months saw a surge of hundreds of misdemeanor cases each week and eventually, in July, the district created a new special courtroom and new procedures just for these cases. The change has been met with fierce resistance from defense attorneys in San Diego, who have been trying to slow and stop the prosecutions on multiple fronts, including enlisting the help of The Bail Project to get defendants out of criminal custody and filing broad legal challenges to the separate court system under which they’re adjudicated. It’s a different story than other states along the border, which have long been prosecuting these cases in a separate courtroom in conjunction with U.S. Customs and Border Protection, commonly known as “Operation Streamline” or the Consequence Delivery system. The system first started in Texas in 2005 and later spread to other states. 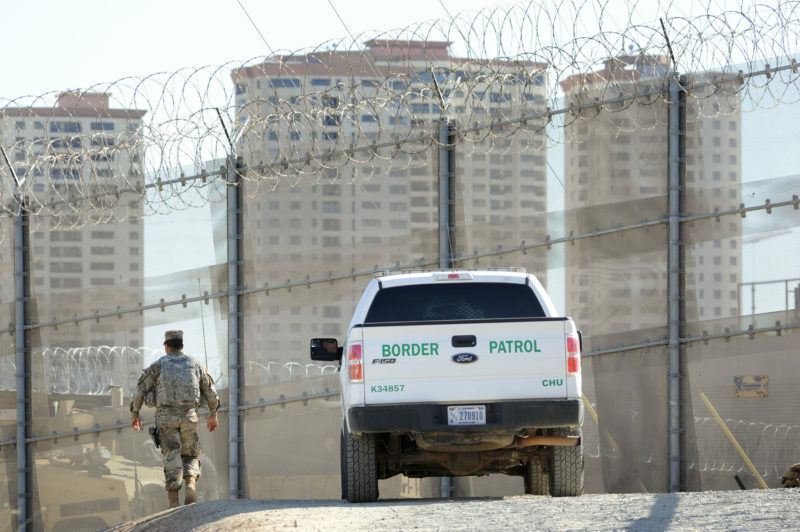 Though it has different names and slightly different forms in different districts on the border, the system effectively sets up a separate route to hear illegal entry misdemeanor prosecutions. They usually happen in a separate courtroom, with anywhere from 20 to 100 defendants in a day, with fast-tracked hearings. In some courts, defendants can take plea deals if they plead guilty that same day, and they’ll be released from criminal custody to pursue legal status in the country or be deported. In others, there are three- or five-day turnarounds. The system has long been criticized for due process concerns because of the speed and volume of the hearings. Some of the consequences, mishaps and resistance that have come with the surge in San Diego happened in other states that have the streamlined hearings. Defense attorneys in Arizona and Texas say they, too, see the problems San Diego encountered with the surge in illegal entry misdemeanors, like juveniles accidentally being brought to adult criminal court and trouble accommodating non-Spanish speakers. But there have also been differences – some of which have enabled San Diego to push back against the prosecution machine. Greene helped put together a 2015 report called “Indefensible,” which looked at Operation Streamline and the use of illegal entry misdemeanor prosecutions throughout the federal courts along the border. When Operation Streamline was brought to Texas and Arizona, prosecutors had already been levying high numbers of misdemeanor charges against people for illegally entering the country. The system, even to defense attorneys, marked an improvement in some ways. Since 2001, Miguel “Andy” Nogueras, a federal public defender in McAllen, Texas, has had an average of 20 to 40 illegal entry misdemeanor cases a day. The most notable difference with zero tolerance, Nogueras said, was the separation of families at the border and the high numbers of people without prior criminal records he represents. In Tucson, the local Federal Defenders office initially challenged the streamlined hearings, though changes in prosecutorial strategies eventually halted their efforts. San Diego attorneys are bringing broader legal challenges to the system, too. But the biggest game-changer in San Diego has been the ability to get defendants released from custody before their trials. When clients were faced with a decision between pleading guilty and being released almost instantly verses fighting their cases and staying in jail, most choose to plead guilty. The possibility of leaving custody on bond disrupted prosecutors’ ability to secure easy convictions, and it removed a major barrier to challenging the fast-tracked prosecutions on a broader scale. A group of attorneys and advocates gathered at Bread and Salt in Logan Heights last month. The topic was zero tolerance. The meeting was led by Patrick Sullivan from the Bail Project, a national nonprofit that pays bail for low-income defendants who face pretrial detention, and Michelle Angeles, an attorney from the Federal Defenders of San Diego Inc., a nonprofit that manages more than half the pro-bono federal criminal defense cases in San Diego’s federal courts. Angeles and Sullivan were planning their next move, but they needed help. Judges will set a bond that has a financial component and other restrictions – such as being limited to a geographic area – that the defendant must post and comply with in order to be released from custody until their criminal case has worked its way through the system. The Bail Project arrived in San Diego in August and was helping migrants bond out of criminal custody as they awaited their criminal proceedings. In most illegal entry cases, prosecutors offer a plea deal: if the defendant pleads guilty, they will get a shorter sentence, most often for time already served, meaning they’ll be released from criminal custody immediately. Fighting the charges or waiting to enter a plea meant spending more time in criminal custody. Through their own fundraising and the Bail Project’s help, the Federal Defenders were managing to pay people’s bonds, so they had far less incentive to plead guilty immediately. Attorneys encouraged asylum-seekers, who made up about 10 to 20 percent of the prosecutions, to take their cases to trial. Issues with witnesses and other problems had been forcing prosecutors to drop many cases. But most of the people being prosecuted, especially Mexicans who were not seeking asylum, were being turned over to Border Patrol once they bonded out and then deported before their criminal case had concluded. With the defendants no longer in the country, prosecutors were forced to dismiss those cases. Last month, prosecutors switched course. They stopped using so-called immigration detainers, meaning once individuals bonded out of custody, they would no longer be turned over to ICE or Border Patrol. The magistrate judges overseeing the misdemeanor cases were wary of releasing migrants who often don’t have ties in San Diego or any place to go. Some started placing an additional obligation on defendants who bonded out of custody: a third-party custodian would be in charge of making sure the defendants complied with bond obligations and made it back to court for their proceedings. Sometimes, attorneys have been able to find family members to act as third-party custodians. Sometimes, judges have agreed to place defendants in housing provided by pre-trial services, though that space is limited. But defense attorneys now find themselves looking to community organizations in San Diego to help them find a larger-scale solution to respond to the latest maneuver in the cat-and-mouse game between them and prosecutors over zero tolerance. “This is something we are doing to react to the government and hopefully, if we can get enough community support, they’ll have to change their strategy again,” Sullivan said. Initiatives like The Bail Project didn’t really exist back in 2005 and 2008, when the fast-tracked hearings began in other states. Guilty pleas were being secured by the hundreds each week simply because defendants wanted out of custody. That is the crux of what makes Operation Streamline both so devastating and so efficient – the rapid prosecutions force defendants and their attorneys into a choice: Plead guilty as soon as possible and be released from custody immediately, or fight the charges and the system, remain in custody for weeks or months and risk a longer sentence for the same crime. “If my clients are going to get time served, how am I helping them saying we are going to trial?” Nogueras, from Texas, said. In all her years working on these cases in Arizona, Castillo has only litigated two illegal entry cases. Both were dismissed before they made it to trial. When it comes to broader legal challenges against the expedited hearings, Arizona and California have an advantage among border states: Appeals go to the 9th U.S. Circuit Court of Appeals, which is considered the most liberal in the country. The Federal Defenders of San Diego have one more advantage – it’s a nonprofit and not entirely funded by the government. The organization’s executive director is appointed by an independent board. In San Diego, the Federal Defenders have levied several broader challenges to the expedited prosecutions. It’s also challenging the constitutionality of the illegal entry legal statute itself. One of the broader appeals against the separate court system alleges it violates the Constitution’s equal protection clause. Kara Hartzler, an attorney in the appellate division of the San Diego Federal Defenders, said there are innate problems with creating a separate court specifically for illegal entry misdemeanors, where the defendants are all non-citizens, who are granted equal protection under the Constitution. Other federal Class B misdemeanors are handled differently in the Southern District of California, she said. Typically when someone is charged with one, they don’t go to jail. Most of the time, defendants are able to avoid a conviction by paying a fine or taking classes or doing volunteer work. In October, Hartzler argued the case challenging Operation Streamline before District Judge Anthony Battaglia, who disagreed with the notion that the separate court didn’t offer the same protections to defendants. Hartzler has filed an appeal to the 9th Circuit. “It is almost like there is one court for citizens and one for non-citizens, and the U.S. Constitution has said you can’t discriminate against people for alienage,” she said. In another challenge, the Federal Defenders are arguing that the criminal statutes used to prosecute illegal entry misdemeanors and illegal re-entry felonies are unconstitutional. The Supreme Court made a ruling on a case in 2017 that effectively changed the definition of citizenship. The individual at the center of the case, Luis Ramon Morales-Santana, had been placed in deportation proceedings after being convicted of various felonies. Morales-Santana argued that he was, in fact, a U.S. citizen because his father was one. In its decision in favor of Morales-Santana, the court declared unconstitutional a part of the Immigration and Nationality Act, that had said that unwed mothers could pass their citizenship down to their children, but unwed fathers could not, unless they were present in the United States for a longer period of time, which was not the case with Morales-Santana’s father. The Supreme Court found that the original rule violated people’s right to equal protection regardless of gender. Hartzler said the ruling has infected the definition of citizenship itself with an equal protection violation. “Anytime you have a criminal statute that is inflected with an equal protection violation, you can’t be prosecuted under that statute,” she said. That case will be argued before the 9th Circuit in January. When Operation Streamline began in Arizona, defense attorneys in Tucson also set out to challenge it – with mixed results. One notable success was that judges now have to ask defendants individually whether they understand their rights, rather than en masse. Arizona attorney Saul Huerta, who was involved in the legal challenges, spoke in Greene’s 2015 report about how they tried to provide a measure of individualization despite the mass, regimented nature of the hearings. But eventually the legal challenges in Arizona slowed. According to Green’s report, it was a result of scant resources and a shift in prosecutors’ strategies. In 2013, the U.S. attorney in Tucson started focusing on “flip-flop” cases – ones in which a defendant could have been charged with a felony for illegal re-entry, but was offered a deal in which they could obtain a shorter sentence and plead guilty to an illegal entry misdemeanor. Part of the deals always included the defendant waiving his or her right to an appeal, which were necessary to bring broader challenges, Huerta said. Across the border, judges have played a role in both maintaining and challenging the system. Hardly two months after the fast-tracked hearings came to San Diego, magistrate judges decided to roll back a key element: same-day pleas. When the separate court system began, defendants essentially had an arraignment, a bond hearing and a chance to plead guilty all in one day. Day after day for months, defense attorneys raised objections about same-day pleas, arguing it was coercive, that their clients were hungry and falling asleep in court because of the conditions where they were being held – in Border Patrol stations ill-equipped to handle them. Defendants now have five days to decide whether to take the government’s plea deal or go to trial. Jodi Goodwin, an immigration attorney in Brownsville, Texas, credited judges there with increasing the role of defense attorneys under Operation Streamline. In Arizona, judges made an effort to avoid aspects of Texas’ system that they found unpalatable, according to the report. Retired Magistrate Judge Charles Pyle said court staff had observed that in some Texas cases, a single lawyer was appointed to represent all 80 defendants in a single hearing. The Rio Grande Valley court where the Texas public defender Nogueras works was at the epicenter of the family separations. The Southern District of Texas saw some of the highest numbers of separated families through its courts, and it’s where the first separation stories emerged. Days before San Diego District Judge Dana Sabraw ordered the federal government to stop separating families as part of a challenge to the policy brought by the American Civil Liberties Union, a magistrate judge in Texas was considering his own order to stop Border Patrol from separating children from defendants who would be receiving time-served sentences. “Pretty often the court will require the government to make sure that someone gets their wallet back, and how much more significant is a person’s child or family member?” Magistrate Judge Peter E. Ormsby said in June, The Monitor in McAllen, Texas reported. In San Diego, several judges have been outspoken in questioning the decision to suddenly begin charging hundreds of illegal entry misdemeanor cases. District Judge Gonzalo Curiel criticized the Trump administration’s implementation of zero tolerance and the chaos it had inflicted on San Diego’s federal courts in July.